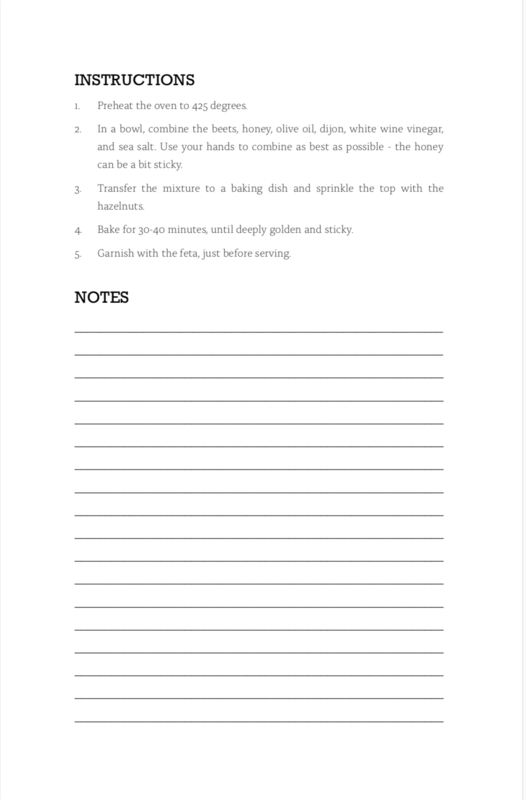 The Elliott Homestead Cooking Community is a way for you to get brand new, whole food recipes delivered to your door every month. Every recipe is designed to be simple, nutritious, whole-food centered, price conscious, and delicious. 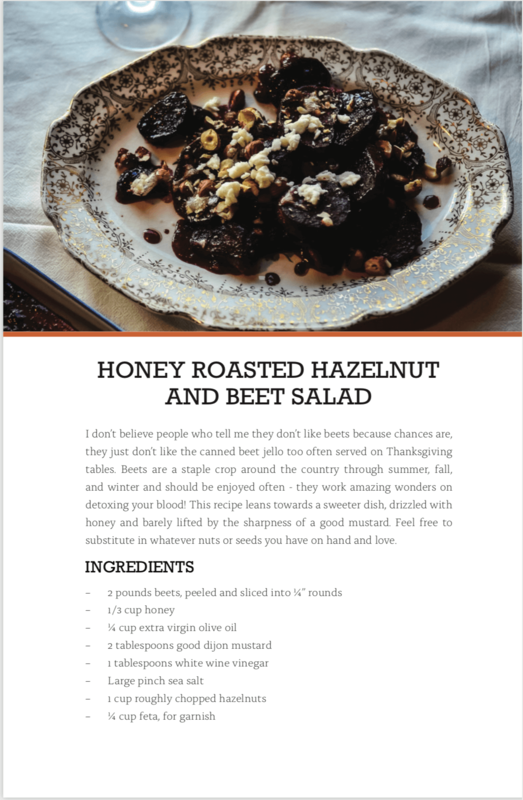 This month on the blog, we’re featuring a special honey roasted hazelnut and beet salad. Enjoy! You can learn more about joining our Cooking Community here.